Which Counting Scale is Right for Your Company? This high precision scale can weigh parts as light as 0.0002g or 0.0000005lb with a high degree of accuracy, with a count resolution of up to 2,000,000 divisions. It has been constructed to withstand shock loads, overloading and other hazards in tough industrial environments. This feature rich scale has a bright, easy to read dot-graphic display, capable of displaying user prompts, weight data, text and graphics, including bar graphs and needle/sweep gauges. The scale can also be A/C or battery powered, for additional flexibility. Paired with the PC820’s extensive memory, the battery option lets you count in remote corners of the warehouse and download to your network later. 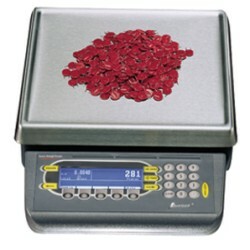 The PC820 counting scale is legal for trade, meaning it can be used in commercial applications where product is sold by weight. The PC-820 takes counting up to the top level with programmable "soft keys", large memory storage, clear multifunction display, remote base capabilities, bar code scanning, two communication ports and a I2C connection capable of connecting to as many as 32 OPTO 22 I/O modules. And, of course, Quartzell digital accuracy in 10 to 100 lb capacities. The closer you can get to a perfect parts count, the closer you can get to just-in-time inventory. 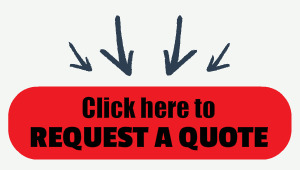 Which will then give you greater manufacturing efficiencies, quicker turnaround, and improved profits. Owning a Weigh-Tronix Quartzell PC-820 counting scale makes the difference. National Controls, Inc. (NCI), acquired by Weigh-Tronix in the 1980s, is the company that brought you the first electronic counting scale - a significant milestone in accuracy. Now we bring you the advanced accuracy of Quartzell technology, teamed with ease-of-use and flexibility. Quartzell load cells are the only transducers in the industry with the high accuracy and reliability of crystal technology. Quartzell has the double benefit of being more accurate than analog, at an extremely competitive price. Ease-of-use is critical to the success of any counting scale, so we've made the PC-820 a model of simplicity. Even with multiple shifts and personnel changes, users will quickly feel confident in all phases of its operation. Instructions in the prominent display window lead employees through the use of every function, with easy-to-follow directions and prompts. The backlit dot-graphic display features 63 different contrast settings. A quick keystroke makes the adjustment to high or low lighting conditions with no interruption of work. To be truly valuable, a counting scale needs to do more than just count. The PC-820 available from Central Carolina Scale is flexible enough to adapt to being part of a variety of configurations. So, rather than buying a new scale when your needs change, simply reprogram the soft keys to add additional capabilities-such as remote base operation, accumulation of counts, database information and more. Store as many as 1000 records with an internal, configurable database. Each record has enough room to include part number, description, tare weight, and various numeric fields, with 32 characters available for each field (except PN which is 16 characters). As a result, you can maintain part and count information in the scale. When you need it, it can be quickly and easily recalled, printed, and transmitted for further use. Interface with any serial printer - A customized program makes almost any brand of printer compatible with the PC-820. Scan bar codes - Get fast piece weights without keying them in or going through the sample process. The PC-820 powers either a bar code gun or wand. Access a remote base - For applications that demand it, the PC-820 expands to a dual or triple base system. Just add an optional Quartzell base, and/or an analog deck scale. With both internal and external battery options, the PC-820 is ready to be moved right to the job, instead of forcing you to move the job to the scale. Store cycle-count information with a bar code scanner even when you're in the most remote corners of a warehouse, and download later to a computer. The PC-820 is a high resolution, full featured counting scale. It comes set in its simplest form, ready to count but with all other operational functions turned off. The user may either accept all default setup parameters or refer to the configuration setup list and change most operational parameters. The standard PC-820 is set for 10,000 divisions in the weigh mode. 9511-16052 ........... 50 lb / 25 kg ............................ 12" x 14"
9511-16053 ........... 100 lb / 50 kg ........................... 12" x 14"
9511-16087 ........... 50 lb / 25 kg ............................ 12" x 14"
9511-16088 ........... 100 lb / 50 kg ........................... 12" x 14"